I have always been a soldier. I have known no other life. So begins Alexander’s extraordinary confession on the eve of his greatest crisis of leadership. By turns heroic and calculating, compassionate and utterly merciless, Alexander recounts with a warrior’s unflinching eye for detail the blood, the terror, and the tactics of his greatest battlefield victories. 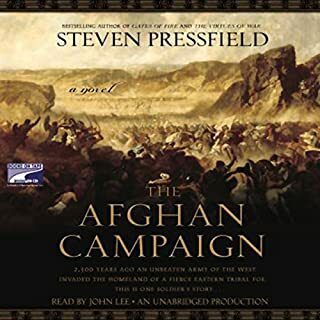 In words that might have been ripped from today's combat dispatches, Steven Pressfield, the best-selling novelist of ancient warfare, returns with a riveting historical novel that re-creates Alexander the Great's invasion of the Afghan kingdoms in 330 B.C., a campaign that eerily foreshadows the tactics, terrors, and frustrations of contemporary conflicts in Iraq and Afghanistan. Gates of Fire puts you at the side of valiant Spartan warriors in 480 BC for the bloody, climactic battle at Thermopylae. There, a few hundred of Sparta’s finest sacrificed their lives to hold back the invading Persian millions. The time they bought enabled the Greeks to rally - saving, according to ancient historian Herodotus, “Western democracy and freedom from perishing in the cradle.” How did the Spartans accomplish this superhuman feat? This is what the King of Persia hopes to learn from the sole Spartan survivor. 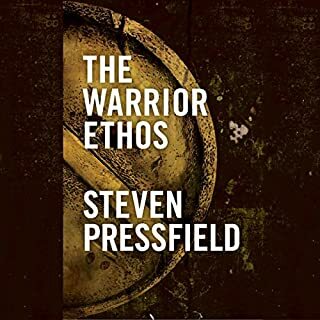 Steven Pressfield is the internationally best-selling author of Gates of Fire and Tides of War. An epic of love and war, Last of the Amazons is a gripping, imaginative novel of the ancient world filled with Pressfield’s trademark extraordinary attention to detail. In the time before Homer, the legendary Theseus, king of Athens, journeys to the nation of proud female warriors whom the Greeks called Amazons. June 5, 1967: The fearsome, Soviet-equipped Egyptian Army and its 1000 tanks are massed on Israel's southern border. Meanwhile, the Syrian Army is shelling the much smaller nation from the north. And to the east, Jordan and Iraq are moving brigades and fighter squadrons into position to attack. Egypt's President Nasser has declared that the Arab world's goal is no less than "the destruction of Israel." Autumn 1942. Hitler's legions have swept across Europe; France has fallen; Churchill and the English stand isolated on their island. In North Africa, Rommel and his Panzers have routed the British Eighth Army and stand poised to overrun Egypt, Suez, and the oil fields of the Middle East. In The Profession, Pressfield taps his considerable well of military knowledge to craft a piece of speculative fiction set in 2032. With corporate and private powers wielding their own military forces, an exiled American general plans to return to the U.S. and claim the presidency for his own. Only his closest confidant stands any chance of defeating him. Could you be getting in your way of producing great work? Have you started a project but never finished? Would you like to do work that matters, but don't know where to start?The answer is Do the Work, a manifesto by best-selling author Steven Pressfield, that will show you that it’s not about better ideas, it’s about actually doing the work. Do the Work is a weapon against Resistance - a tool that will help you take action and successfully ship projects out the door. One man. Two armies. The fate of the ancient world in the balance. If history is the biography of extraordinary men, the life of Alcibiades (451 - 404 B.C.) comprises an indispensable chapter in the chronicle of the Western world. Kinsman of Pericles, protégé of Socrates, Alcibiades was acknowledged the most brilliant and charismatic personality of his day. Plutarch, Plato, and Thucydides have all immortalized him. As the pride of Achilles drove the course of the Trojan War, so Alcibiades' will and ambition set their stamp upon the Peloponnesian War - the 27-year civil conflagration between the Athenian empires, Sparta, and the Peloponnesian League. As a commander on land and sea, Alcibiades was never defeated. The destinies of Athens and her favored son were inextricably intertwined. Allied, they swept from victory to victory. Apart, he guided her foes to glory. Of the spell Alcibiades cast over his contemporaries, Aristophanes wrote that Athens "loves, and hates, and cannot do without him." To the end, their renown and ruin were indissoluble. Recounted by Alcibiades' captain of marines in a mesmerizing death-row confession, Tides of War is historical fiction at its finest. ©2000 Steven Pressfield (P)2000 Random House, Inc.
Pressfield writes well and researches professionally. 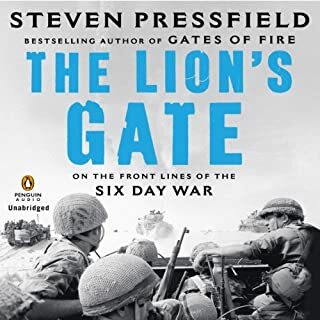 "Gates of Fire", the book before this one (though not necessary to read first) cracked with an energy that "Tides of War" never quite achieves. This book is interesting in its exploration of the wide canvas that was the Peleponisian (sp?) War, and of the character of Alcibiades, who, thorough cunning and generalship, fought for all three sides in the 30-year conflict, making each love him and despise him. However, the narrative device of telling the story through the remove of not one but two recollections tends to make the story less urgent and more "historical" feeling, rather than "immediate drama". While I loved the setting and the details of the story, I found it was easy to hit the "pause" button whenever something else called my attention. If you liked "Gates of War" this book might indeed be for you, although I wonder if it isn't better read than listened to. Those who like military themes, historical narratives and anything having to do with Ancient Greece will enjoy this book. Another excellent book by Steven Pressfield. But this time instead of dealing with the the themes of might and valor, Tides of War deals with betrayal, redemption, and forgiveness, and not just of others, but of one's self. As the narration bounces from sources at the beginning, the story is a little hard to follow. But this only lasts for a short period of time. Then the story takes off. The cascading effects of the wrongs people do against one another is at the forefront of this whole story. It's a vicious cycle that no one can stop. This book was not as good as Gates of Fire (AWESOME!) but still another terrific story. The narrator should win an award of some kind. His voice transitions for the characters and inflection is flawless. Steven Pressfield is better known for another great story, The Legend of Bagger Vance. 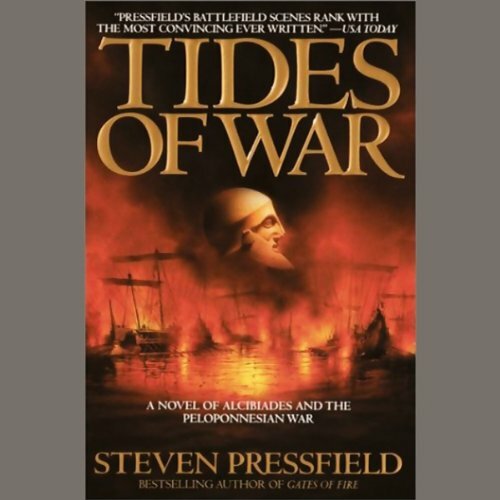 In Tides of War, Pressfield also shows that he is a masterful storyteller, with history, characters, plots and sub-plots all entertwined but all progressing throughout the story. Hard to follow an already confused tale. Historical fiction about a bewildering time and a much maligned character. Shed virtually no light or insight into actions by any of the involved characters. Besides the known historical figures no idea if the lesser characters were real or fictitious and in the event who I should even care about. I like the book for the most part, but it read too much like a history book then an adventure story which is what I expected. A bit hard to follow. I love Steven Pressfield and this story, but I found it kind of hard to follow. Giving the author the benefit of the doubt, I wasn't paying extremely close attention, but still the story seemed to bounce between a few characters and scenes. I have a general idea of what happened, but often had no idea what was going on. I probably need to become a mature reader though. 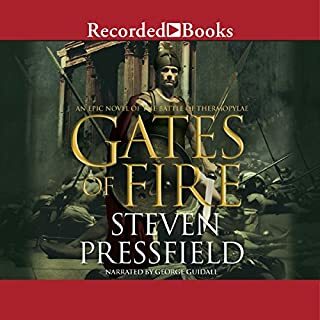 I loved Gates of Fire and thought I couldn't go wrong with this offering from Steven Pressfield. Perhaps the bar was set too high, but I was bored at times with Tides of War. Thankfully I could speed up the audio version of the book, otherwise I might have just put it down permanently. The structure of this book is a bit odd. Characters telling the stories of other characters. Listening to it, it got confusing at times. 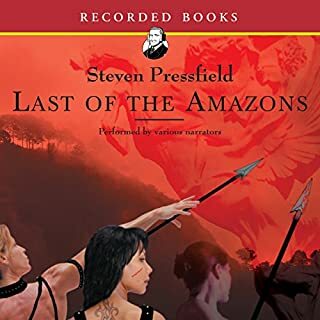 When Pressfield's other book, The Last of the Amazons, was recorded they smartly used multiple voices when he used a similar technique. Be that as it may, the book was still wonderful. It might work better reading it. I wish it wasn't abridged. This is a really good book. The reader is absolutely fantastic. It is such a wonderful story, a bit sad albet, but still fantasticly written and read. But......sometimes a bit of a chore to get through.Overall good and educational listening for historical fiction lovers. Great for going deeper into the period. A student quizzes his grandfather to recall the story of a soldier/assassin who fought with Alcebiades. This is Historical Fiction, it centers around Alcebiades and the war, and the democracy. Well researched, somewhat compelling if you have an interest in this period. Told through this prism of a companion of Alcebiades we track the events of this fratricidal war, it's an interesting and digestible way to learn the history of the characters. I don't really *do* fiction so can't comment on it as a novel. But it's great as history, it made these historical characters relatable for me. I think you need a decent understanding of the war already, to follow the narrative of this story. For example the author takes no time to explain the city states, if you are not already aware of terms like Lacedaemonian, Thrace, or Hellespont then much of this book might pass you by you will be wondering what is going on. 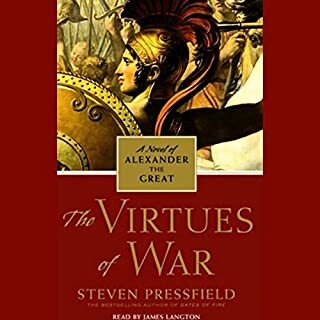 So my recommendation: download first the audio book for "The Peloponnesian War" by "the Great Courses" it's on Audible , or listen to Donald Kegan's Yale lecture series which is on YouTube. Very enjoyable if you want to go deeper into this interesting period of history of war and democracy. Fabulous storytelling evocative of the politics, intrigue and drama of a bygone era steeped in the eternal conflict of personal loyalty and acting in the interests of the greater good. Thoroughly enjoyed it and David Jacobi's voice adds an air of gravitas and dignity that such a tale warrants and deserves. Best novel ever written on the "Spartans Last Stand" Some parts of it brought me to tears. It has so much - the characters brought to life so completely. I cannot recommend it highly enough.